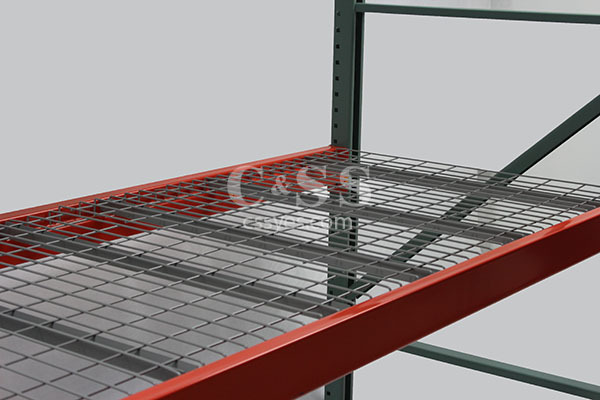 Wire mesh decking is a strong foundation that supports pallet racks and makes them more durable. It is what sits on top of the pallet rack to make it sturdier. Since you store product in your warehouse, decking is exactly what could give you more peace of mind. It can save your company money because you are protecting the inventory stored in your warehouse. Inventory is what supports your business; therefore, the advantages make wire mesh decking worth the investment. 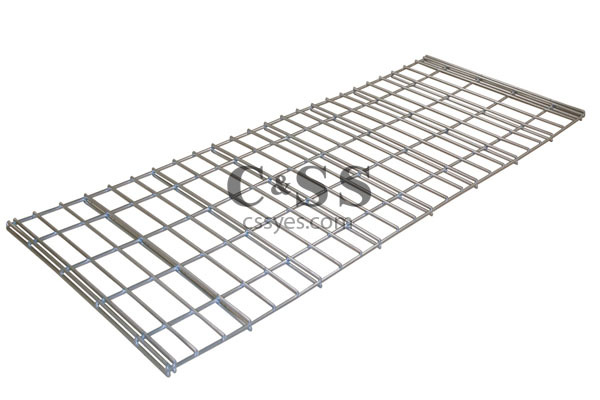 Wire mesh decking has two main components: support channels and the wire mesh platform. Support channels hold the majority of the pallet load. 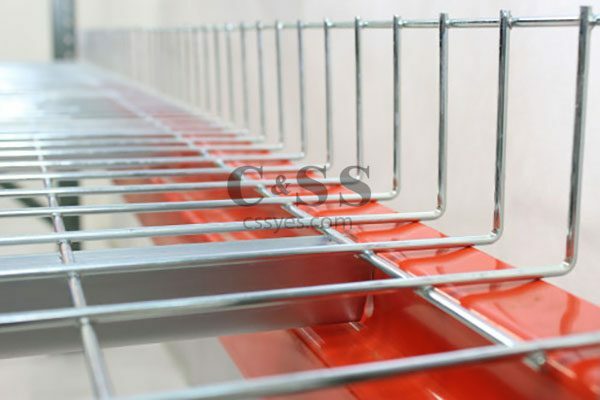 A flared type channel has ends that wrap around the beam of a pallet rack. A standard step or U-channel, shaped like the letter “U” consists of a solid piece of immovable steel. Above the support channel sits the wire mesh platform. Based on the width of a pallet, you could have two to five support channels, maybe even more. U-channels rest on step beams; flared channels sit on box beams. Many flared channels have a universal fitting so they are flexible enough to fit both step and box beams. Custom wire mesh decking is best because you will want to be sure the decking matches your unique warehousing and storage requirements. Forklift operators can try their best to sit a pallet perfectly on beams of a rack, but no one can do that correctly all of the time. When a pallet isn’t centered entirely on the beams and sits close to the edge, it can fall. Wire mesh decking solves this problem because it covers the pallet rack. Plywood is less sturdy than wire decking. Plywood is also likely to be compliant with state fire codes. With plywood, you might need to attach immovable spacers between each piece and add a cardboard layer to prevent anything from falling through. Unlike plywood, wire mesh decking can hold half pallets in a secure way. Wire mesh decking gives you more options on loading and storing pallets with partial loads. Thin, yet strong wire decking allows more light and air to go through better than thick plywood decking. In a warehouse, aeration is a key to a healthier warehouse environment. 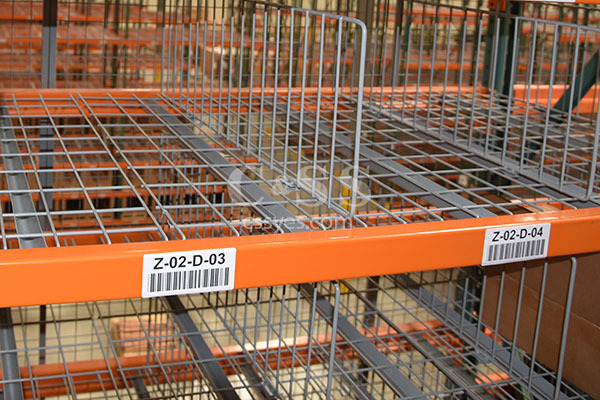 SKUs are more visible as well due to the lean, yet rugged wire mesh design. Wire mesh decking is stackable, so it uses less storage space. To use, just place the decking on the beams and the pallet rack is ready to receive pallets. Wire decking for warehouse pallet racking is the best choice in regards to supporting pallet loads of a heavy weight. It is flexible because you can order the flared channel to fit your box beam or the U-channel type to fit step beams. Safer than plywood, wire mesh decking helps you protect your inventory which is your most valuable business investment. Since 1992, Conveyor & Storage Solutions has been helping companies all over the nation find their best storage solutions. For all your wire mesh decking needs and more, call us toll-free at 877-277-7235 or fill out our easy Request a Quote form today!